Interests:starquests, rc cars, i like my job to, im a little bit boring hobby-wise though. i like beer. great guy fast shipper definitley will buy more conquest parts. Bought a 12a turbo from him about two weeks ago. From Cali to Virginia it only took about 4 days in total to get here. He was an AWESOME guy to deal with and was VERY gracious. I've been driving on the turbo since it came in and am very happy. Spools great and has no play as described and even the seals are still good and soft whether it was a rebuild or not! Prices overall were spectacular and he even threw in some injectors. Like I said...he's a good guy all around. I certainly wouldn't hesitate to buy anything from him. He'll treat you right. Thanks rob! 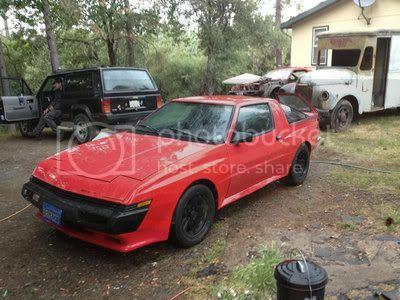 88 Mitsubishi Starion Esi-R: DD. Rebuilt stock engine (About 20k miles). Mechanical rocker arms. NJV Head. 240sx SR20 Aluminum Radiator. 1g BOV (about to put in Greddy RS). 650/950 Delphi Injectors from Brian, Aftermarket Rising Rate FPR. Removed emissions. Gutted cats. Rebuilt rear end. Polyurethane end links. I oversold my free parts and ended up needing two small items from MPGorBOOST. Much appreciated! Bought a set of hardpipes from MPGorBoost. They arrived well-packaged and on time. Great communication. Thank you! Purchased several items from him. Great seller. Great Communication. Provided tracking info and shipped fast. Would buy from again. purchased over the shoulder belts, order was shipped fast, and was priced well. very good member, will defiantly buy from again. thank you very much for the belts! can't wait to install them. very happy! thank you !